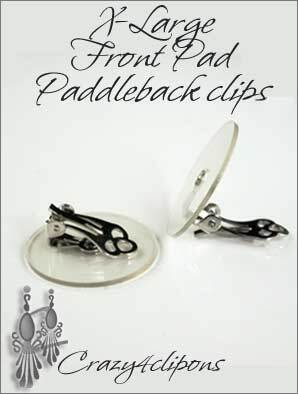 Features:Excellent to make those large vintage-like clip earrings. A 25mm hard plastic front-pad welcomes your cabochons, buttons and large heirlooms to be glued to produce your own, unique clip earring styles. 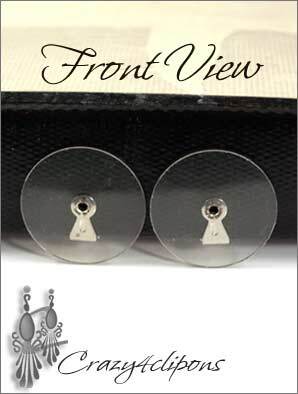 These clip earring findings are great for large earrings. The hard plastic could be cut to size for rectangular or square designs, a bit hard with regular scissors, but still possible. Note: The back of these findings is a paddle back.